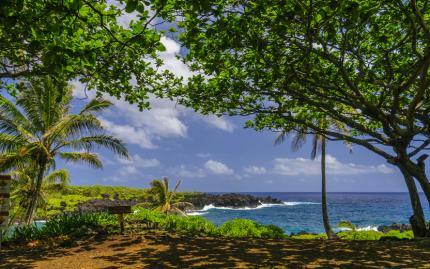 If you've already seen Maui's beaches and are looking for a different adventure, take a day trip to discover some of the island's more off-the-beaten-path gems. 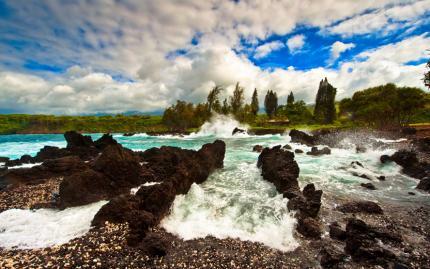 Awaken your senses on this 9-hour, small-group trip to Haleakala National Park, as well as a lavender farm and a winery. Travel aboard a luxurious and comfortable limo-van with a maximum of eight passengers. After pickup from your hotel in the morning, drive to Pa'ia for a light morning snack. 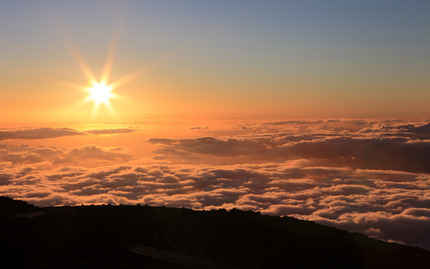 Then, enjoy a leisurely drive to Haleakala National Park and take in breathtaking panoramic views of the infamous crater. From Pu'u Ula Ula (Red Hill), admire 360-degree views of the Big Island, West Maui, Lanai and Molokai. Next, descend into the serene gardens of the Maui Lavender farm. After touring the farm, feel free to visit the gift shop that sells more than 75 lavender products made directly from the gardens. At the farm, enjoy a delectable Pacific Rim lunch as you hear about the mystical side of lavender. Served on linen table cloths, lunch includes hibachi-grilled chicken, fresh mahi mahi, fruits and more. Your journey continues past rolling green pastures, serene mountain vistas and the seascapes below, to the Ulupalakua Ranch and Tedeschi Vineyards. This historic ranch was visited by King Kalakaua and Queen Kapi'olani in 1874 and was famed for its hospitality and agricultural prowess. Here, visit the tasting room, formerly the king's cottage, and sample the winery's signature pineapple wine among other delicious wines. Lastly, visit the Hawaiian paniolo (cowboy) town of Makawao. You will have time to explore this historic place at your leisure. Visit Viewpoints Gallery, operated exclusively by Maui artists; Hot Island Glass, the only glass-blowing studio on Maui; or any of the various locally owned shops. Note: This activity includes pick up from your Maui hotel or condo -- please enter your hotel/condo (with the address) in the "Special Requests" section when placing your booking. Cancellation notice must be received no later than 7:00a.m. UTC, 2 days prior to tour for reservations of 1-2 passengers, no later than 7:00a.m. UTC, 3 days prior to tour for reservations of 3-7 passengers, no later than 7:00a.m. UTC, 4 days prior to tour for reservations of 7-8 passengers. For reservations for more than 8 passengers, cancellation notice must be received no later than 7:00a.m. UTC, 7 days prior to tour. This was one the most disappointing tours I have ever booked. If it wasn't for the excellent tour driver (Skipper) it would have been a total waste of a day. The tour stared great with on time pickup and trip to the top of Haleakala. The views were great and our driver was very knowledgeable. From there we went to the Lavender Farm. It was nothing like the pictures, small, very little in bloom, and the gift shop was a joke. Next up the winery tour/tasting. We arrived there at 11:30. The tours are given at 10:30 and 1:30pm. So we missed the first tour and would have to wait 2 hours for the next tour. How can a tour company not know when the tours are given? According to our driver, he's been doing this for 10 years, and he didn't even know how long the tour was. (It is 40 minutes/and a walking tour) Also, when I booked with you (having linked off of MC priceless), the deal was if the tour was paid with MC, I would receive a bottle of pineapple wine for free. (Which no one knew anything about). So now my "free" bottle of wine cost me an additional $14. To end with, this tour was a hour allocated to Makawao, which is all of 1.5 blocks long with over-priced tourist traps. We were at this point were all to glad to leave in 10 minutes. We understand that your company is not directly involved in the tour packages, but if you sell it, you have to take some responsibility for a very poor product.